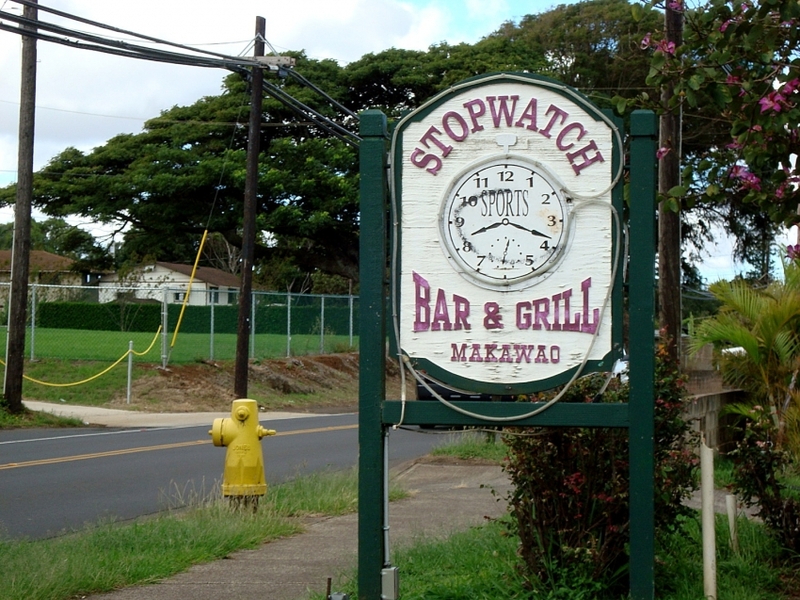 When are you punching the clock at Stopwatch Bar & Grill? Help out with my college expenses (Aerospace Engineering). I’m living proof that it takes a rocket scientist to do this job. I make excellent Margaritas… lots of Texas Training! All of the interaction with people… and showing off some tricks! I have been at Stopwatch about 14 years and love working here. It’s the Upcountry Cheers! Steve’s da bomb…whatta a burst of sunshine…if you’re visiting Maui and want to hear about the island from someone who’s a compendium of Maui folklore, stop by and talk story with Steve.